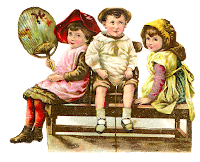 Today I've posted wonderfully charming digital Victorian children clip art of girls and boys playing. 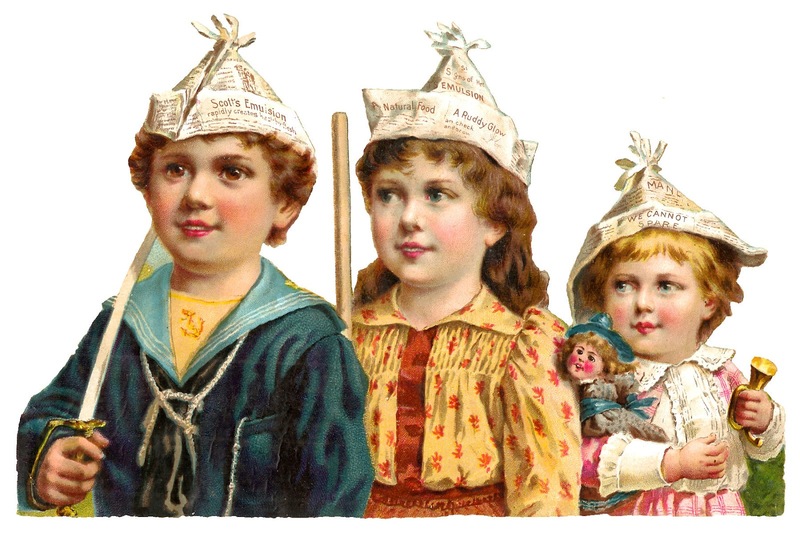 The first digital children illustration is of a boy and two girls wearing hats made of newspapers, and they're each carrying something: a sword, a wooden pole, and a small horn. 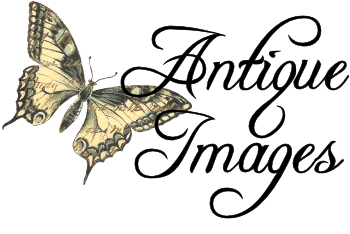 They seem to be playing a military game, pretending as if they're going off to war. 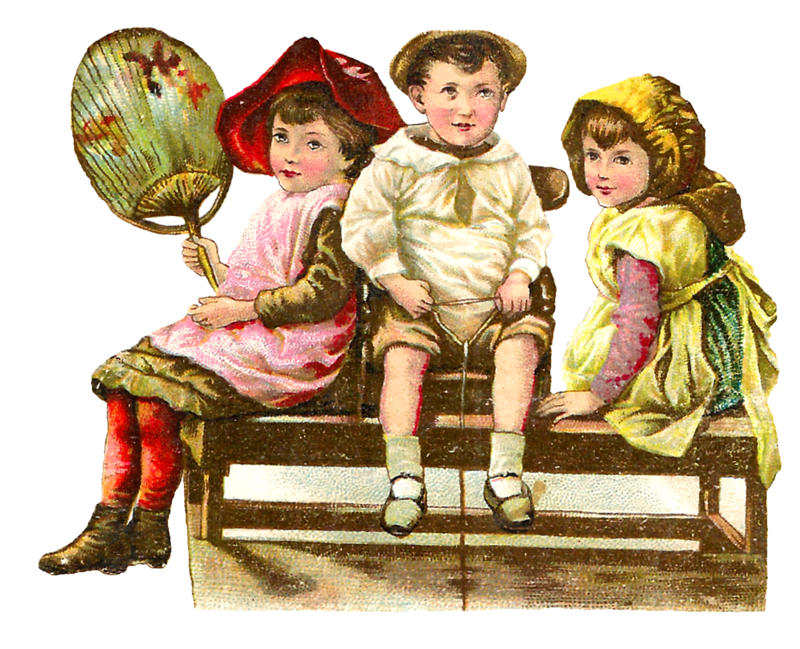 The second digital children download is also of a boy and two girls sitting on a bench. 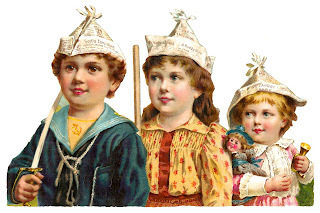 They're dressed in adorable clothes. 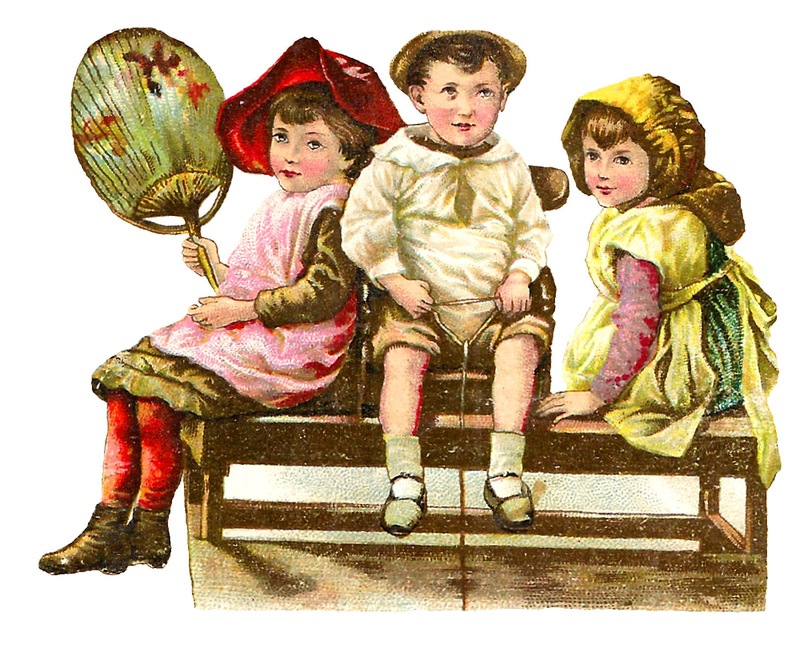 One little girl is holding an Oriental fan. 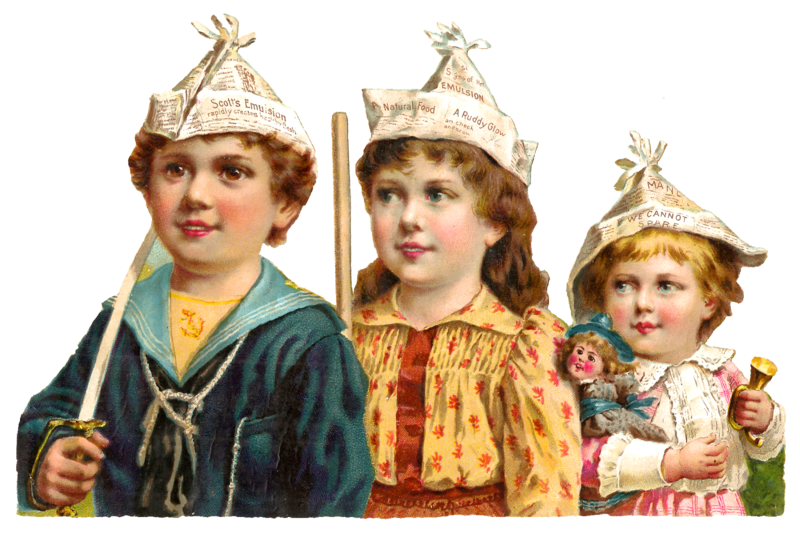 These Victorian children images will be great in a collage project.